• Hubbard & Hubbard, Inc., headquarted in Petaluma, California is a privately owned, international Organization and Human Performance Consulting corporation. • Our sole business is to assist private and public organizations to strategically manage their human and other resources to obtain maximum performance and measurable results to meet their business plan objectives. • Our research based consulting, training, online systems, and performance improvement technologies strategically address the unique needs of each client using practical, comprehensive methods as well as providing the highest quality customer service. Benefits of Working with Hubbard & Hubbard, Inc.
· Performance: Your employees become more valuable to the organization as they apply their new skills, knowledge, and techniques acquired and practiced during the interventions and performance solutions we create for your organization. · Productivity: Since our consulting, training and other performance solutions concentrate on organization-specific issues taken from the real business challenges facing your organization, employees can immediately apply the solutions to improve operations and business impact. For example, our classroom practice simulations utilize actual work-related problems and challenges to give your employees practical, step-by-step problem solving methods and techniques along with expert coaching. · Flexibility: All of our programs, products and services are built on a modular basis to allow flexibility in scheduling and delivery to allow employees to fulfill other organizational obligations and requirements. Our Consulting solutions are custom designed to link and align with client business needs, costs and time frames. · Cost: Our programs, products and services are competitively priced and contain unparalleled quality and value! • Hubbard & Hubbard, Inc. was founded in 1985 by Dr. Edward Hubbard, Ph.D. and Dr. Myra Hubbard, Ph.D. in Petaluma, California. Hubbard & Hubbard, Inc. is a privately owned, international Organization and Human Performance Consulting corporation with offices in the United States, Europe, and other world locations. • Hubbard & Hubbard, Inc. was born out of a need to demonstrate and measure the value of utilizing diverse human and other resources to drive measurable results to the financial bottom-line. 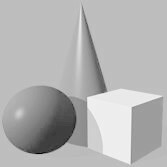 • No matter what professional field or discipline you analyze, they all have at least two recognizable components: Theory and Science. Coming from job-related experiences in corporate America and work in institutions of Higher-level Education, Drs. Edward and Myra Hubbard realized that processes and systems to show evidence-based impact through the use of diverse human resources was missing in the Human Resource (HR) and business fields. • In particular, Dr. Edward Hubbard, having Systems Engineering, Training and Development, as well as Business Systems knowledge expertise observed that the fields of Diversity and Inclusion lacked “hard sciences” to definitively prove their value in concrete, evidence-based terms. 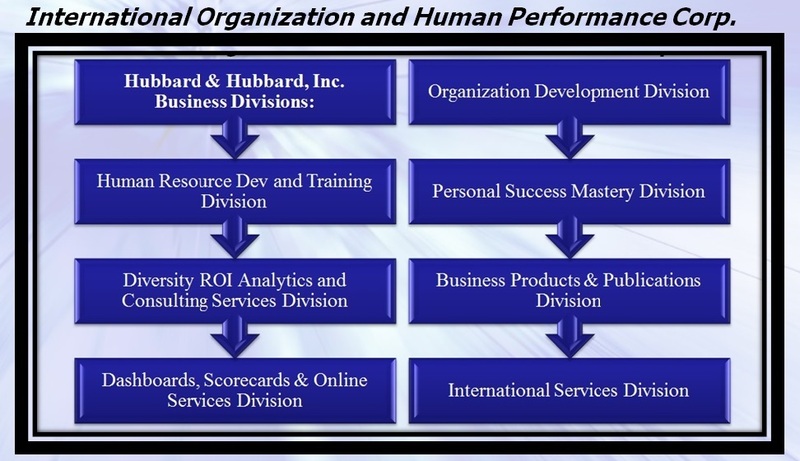 As a result, as early as 1980, Dr. Ed Hubbard began creating what would become the copyrighted “Hubbard Diversity ROI Framework and Diversity Discipline Sciencestm”. These Return on Investment (ROI-based) sciences are designed to give Diversity Executives, Diversity Practitioners, executives, managers and others the practical, yet comprehensive tools needed to credibly translate Diversity and Inclusion initiatives, as well as other initiative results into financial and other impact-based outcomes. Since 1985, we have been supplying organizations, trainers, consultants, managers and employees with the highest quality organization development services, learning resources, computer, and web-based resources available. Our products and services have been developed by Human Resources and Systems experts. They were developed to meet specific needs identified to us by our clients and customers to help them become more effective. They are carefully tested, professionally packaged and delivered promptly whenever you need unique and creative business solutions. Our President, Dr. Edward E. Hubbard, has been recognized and acknowledged as the Pioneer and Founder of the Diversity Analytics/Measurement and Diversity Return on Investment (DROItm) Fields. "The Diversity Scorecard: Evaluating the Impact of Diversity on Organizational Performance"
"The Manager's Pocket Guide to Diversity Management"
"Implementing Diversity Measurement and Management"
"The Hidden Side of Employee Resistance to Change"
"Managing Your Business for Profitable Results"
Dr. Edward E. Hubbard is President and CEO of Hubbard & Hubbard, Inc., (over 30+ years) Petaluma, CA, an international organization and human performance-consulting corporation that specializes in techniques for applied business performance improvement, Diversity Return on Investment (DROI®) measurement and analytics, instructional design and strategic organizational development. He is the author of more than 40 Business-related books including the ground-breaking books: “The Diversity Scorecard: Evaluating the Impact of Diversity on Organizational Performance”, “How to Calculate Diversity Return on Investment”, “Diversity Training Return on Investment”, “The Manager’s Pocket Guide to Diversity Management”, “The Diversity Discipline”, “The Hidden Side of Employee Resistance to Change”, “Mastering Secrets of Personal Success: Tools to Create the Life You Want”, and many others. The American Society for Training and Development (ASTD, now ATD) inducted Dr. Ed Hubbard into the prestigious “ASTD New Guard for 2003”. The July/August 2007 Issue of Profiles in Diversity Journal featured Dr. Hubbard as the “Diversity Pioneer” in Diversity Measurement. Dr. Hubbard was also awarded the 2017 Distinguished Alumni Award from The Ohio State University College of Arts and Sciences. This award recognizes an alumnus who has demonstrated distinctive achieve in a career and/or through civic involvement. 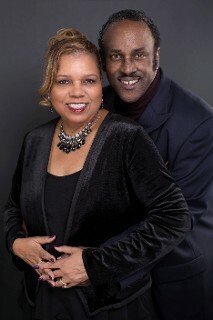 Dr. Hubbard served as Director, Developmental Education and Black Studies Instructor, The Ohio State University, Newark. Part of Dr. Hubbard’s career was spent as a Lecturer at Dennison University. He also taught and worked with other Colleges and Universities here in the U.S. such as Missouri State University, Kent State University (where he serves as the Diversity Leadership and ROI Metrics Instructor of Kent’s Institute for Leadership Excellence), in Canada at the University of Calgary, the U.K. at the University of Bradford in Leeds, England, the Pacific Rim, and elsewhere. Dr. Ed Hubbard has been featured in films, documentaries, Inc. Magazine, Forbes Magazine, Fortune Magazine, on NPR Radio, newspapers, trade journals such as Training and Development Magazine, The Diversity Executive, HR Magazine, Network Television, and several other news media. He has been a Keynote Speaker at conferences, workshops, Executive Retreats, U.S. Presidential Commision meetings, and for Profit, Non-Profit, Educational Institutions, the U.S. Pentagon, Military organizations, and many others world-wide for the past 30 plus years. Dr. Myra Hubbard is Executive Vice President of Hubbard & Hubbard, Inc., an international organization and human performance consulting corporation that specializes in Human Resource Development and Training, Workforce Diversity Management and Measurement, Leadership Development, Organizational Development and Personal Success Coaching and Training. She has many years of successful experience providing consultation to executives, work groups, and organizations. Her consulting engagements support managers, teams and organizations to become more inclusive, improve performance and increase productivity. She specializes in Organizational Behavior, Organizational Analysis, Employee and Business Resource Group Performance Improvement and Measurement Strategies, Diversity Measurement, Team Building and Organizational Change Methodologies. Her emphasis is on practical “how-to” approaches directly related to organizational goals and the empowerment of employees. Her special talent and expertise in working with culturally diverse groups, enables her to readily gain trust, respect, and communicate well in many international, intercultural, and diverse settings. Her consulting work with organizations in the Netherlands, Pacific Rim, Korea, Japan, Samoa, and other countries has proven invaluable to the work she performs in the U.S. Based on extensive research, Dr. Hubbard is co-author of the book “Measuring the ROI Impact of Employee Resource Groups (ERGs) and Business Resource Groups (BRGs): Ensuring Employee Resource Group Initiatives Drive Business and Organizational Results. 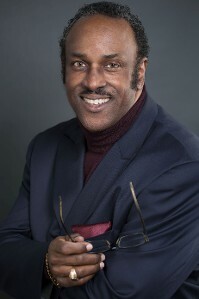 As the President and co-founder of the Hubbard Diversity Measurement & Productivity (DM&P) Institute, Dr. Hubbard has a broad range of responsibilities such as directing diversity training teams, consulting, client relations, marketing, managing organizational cultural audits and climate surveys, working with employee resource/business resource groups, organization improvement focus groups, and executives . She successfully applies her management and business expertise, counseling, and coaching background for enhance client performance improvement. Dr. Hubbard is also the Senior Executive Director of the International Association of Diversity and Inclusion ROI Professionals. 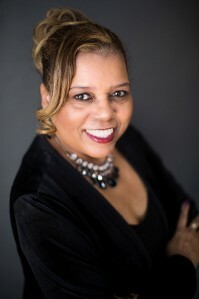 She holds a Bachelors degree in Business and Psychology, a Masters degree in Counseling, California College Teaching Credentials, a Practitioner Certification and Master Practitioner Certification in Neurolinguistic Programming (NLP), a Neuro-science discipline and earned a Ph.D. in Business Administration. We are confident you will appreciate our practical, measurement-based Return on Investment (ROI) approaches in delivering services to you and the level of quality and professionalism in every product and service we deliver.